I’m sorry that I haven’t had much time for this blog lately – the reasons are in the previous post and while I’m slowly recovering, I have been very busy. Nevertheless, I have actually been somewhat active on the web elsewhere – I’m still posting daily on my Photography Blog and the WSH Crew Community Web Portal is also being updated regularly. What I had to give up, though, is the weekly Space & Science News Roundup – it’s a lot of effort and I was thinking about retiring it anyway for some time. It was mainly a way to collect links for those who are not following my Google+ Space & Astronomy Collection or the WSH Crew Community because I unfortunately don’t have the time to crosspost to Facebook and Twitter at the same time. 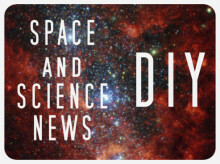 The Weekly Space Hangout, Astronomy Cast and Learning Space are also on summer break until early September, but if you want to stay up to date, you can also gather the news yourself from the same websites we like to visit. Instead of a weekly posting, here is a list of space news sites, blogs and some of my Twitter lists for easy do-it-yourself news reading. I recommend using Feedly as a RSS reader for the websites – it is as easy to use as the old Google Reader and is supported by many apps on different platforms.